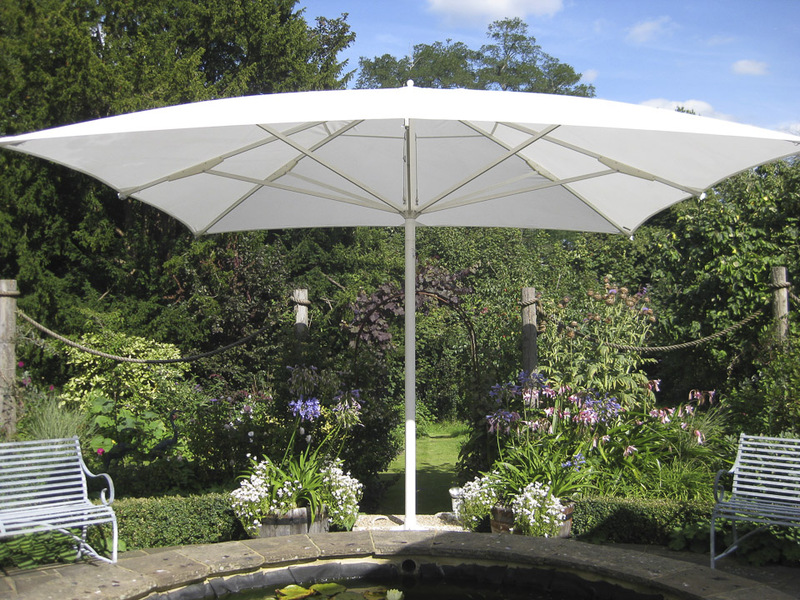 Sunbrellas are giant umbrellas, and range in size from 2.5m (8ft 1”) sq up to 5m (16ft) sq increasing in 0.5M increments. 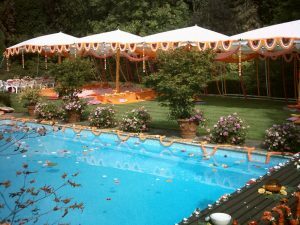 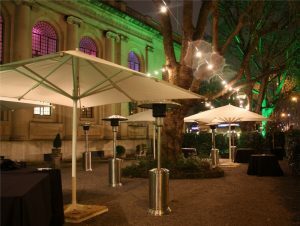 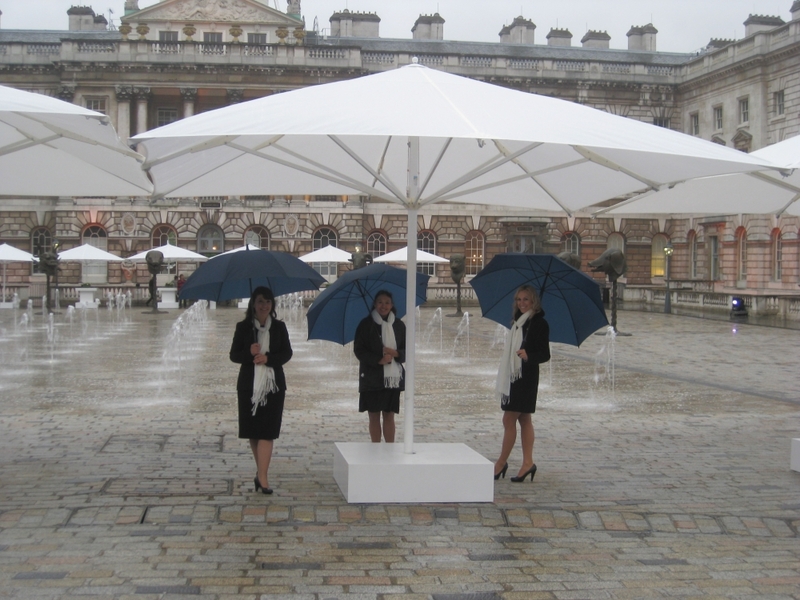 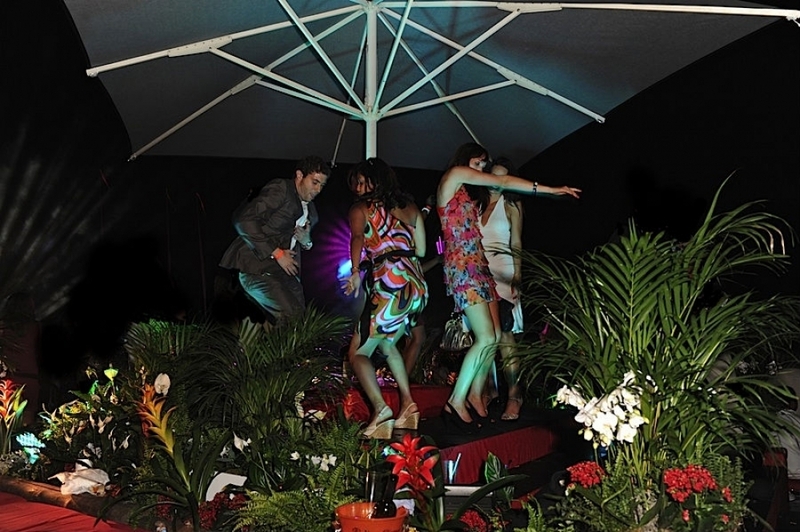 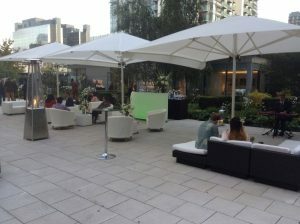 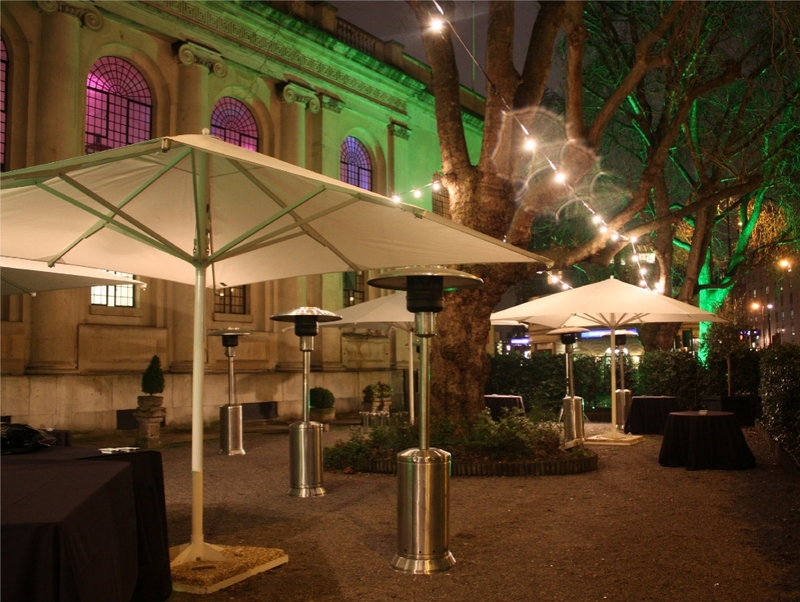 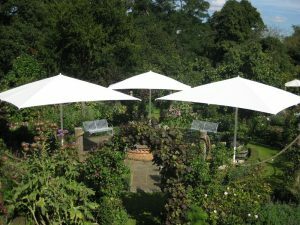 Whether your function is a select garden party, or major corporate event, Sunbrellas offer an impressive touch of class. 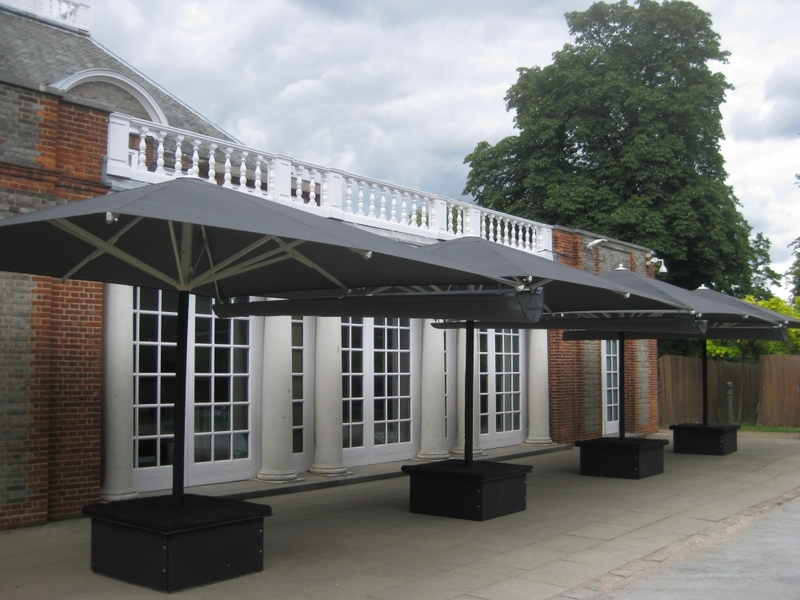 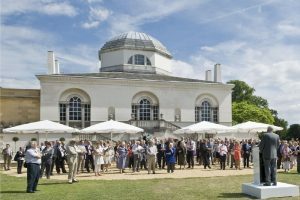 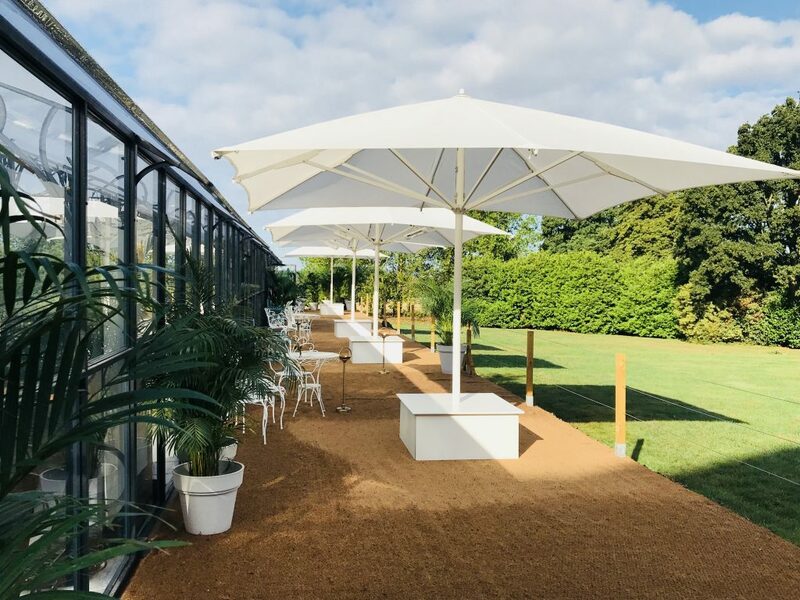 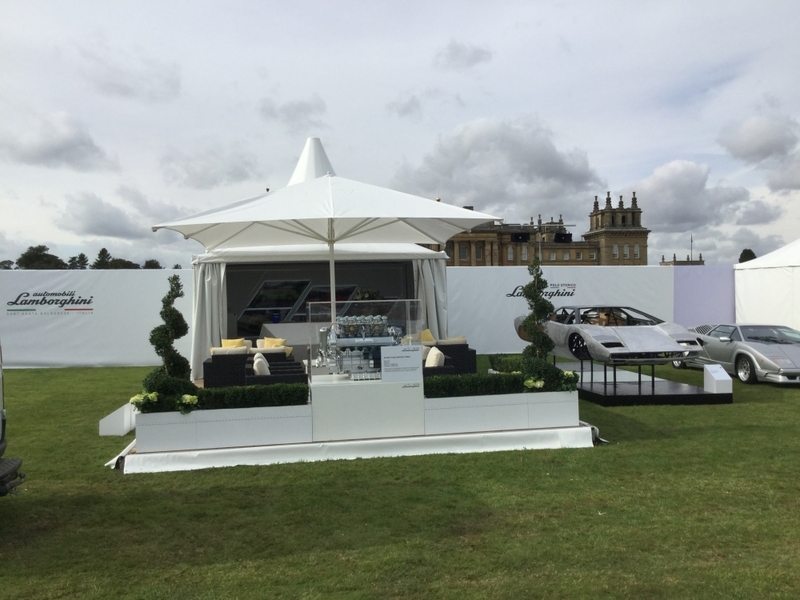 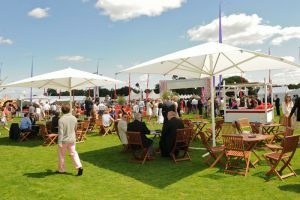 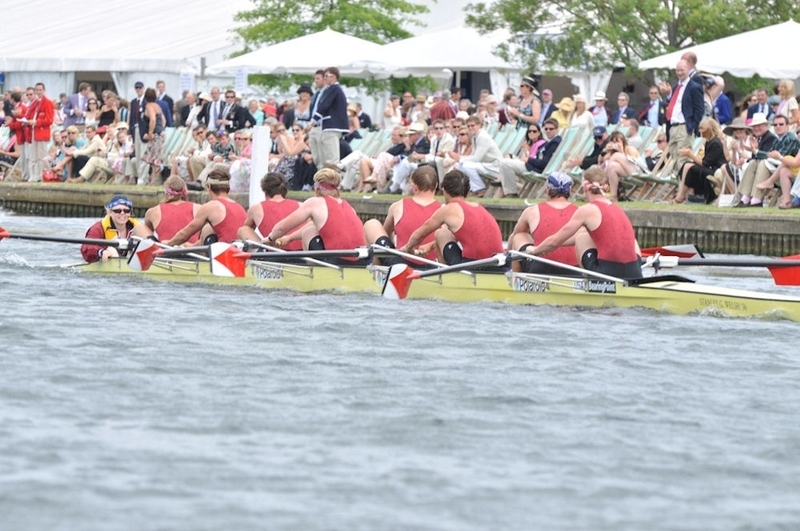 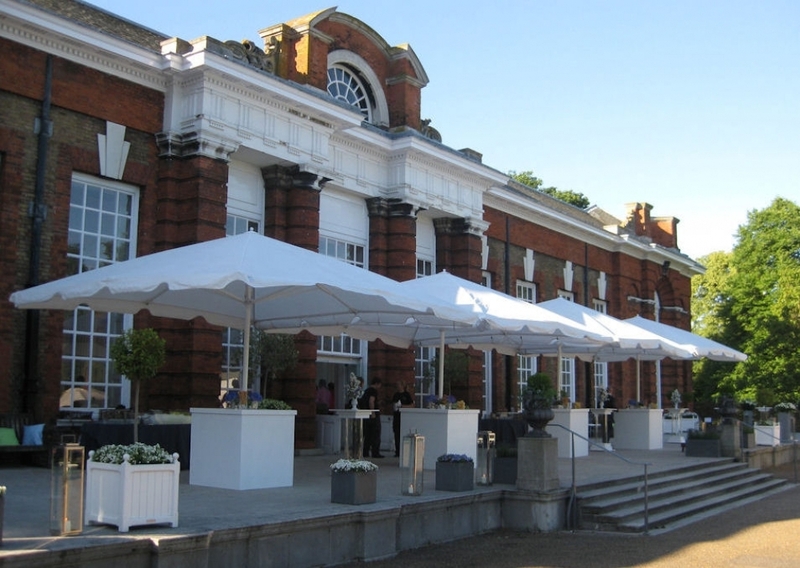 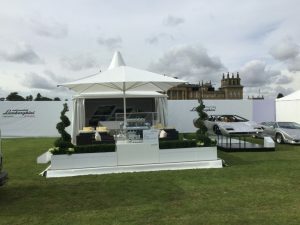 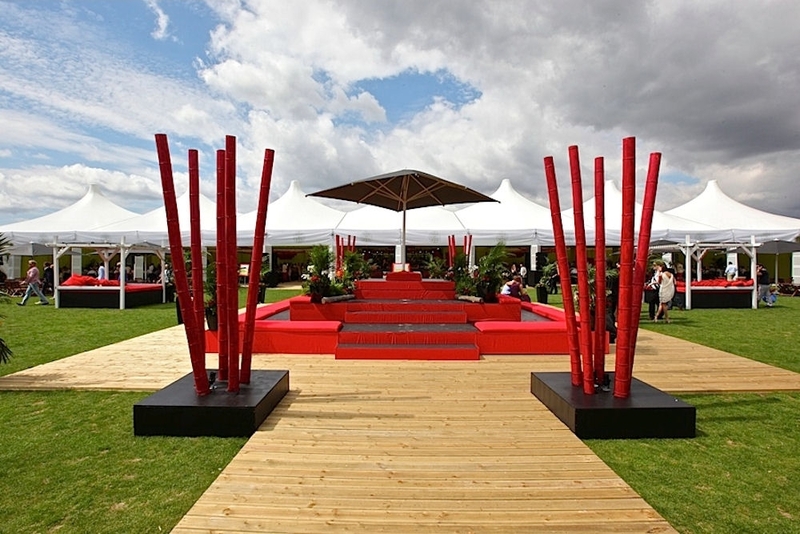 From Henley Regatta, to Cartier Polo, from Hampton Court Palace to The Serpentine Gallery, our canopies grace events throughout the seasons. 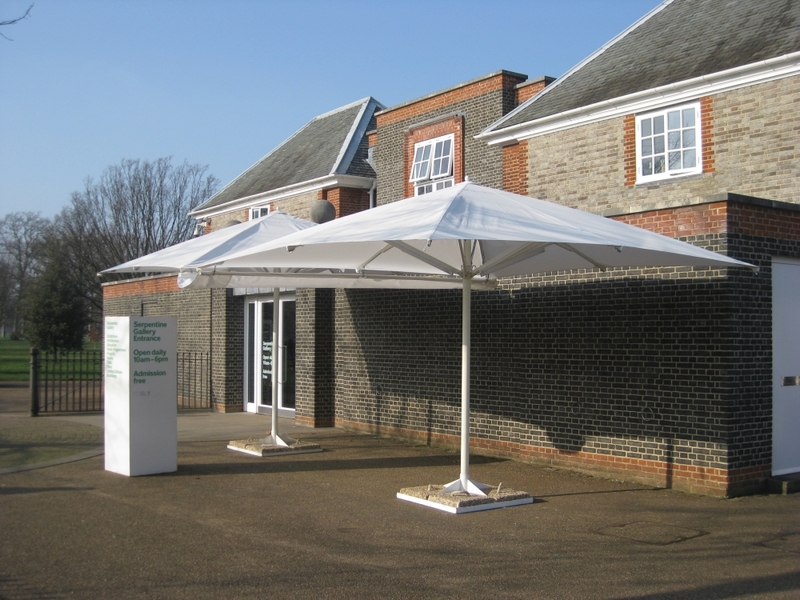 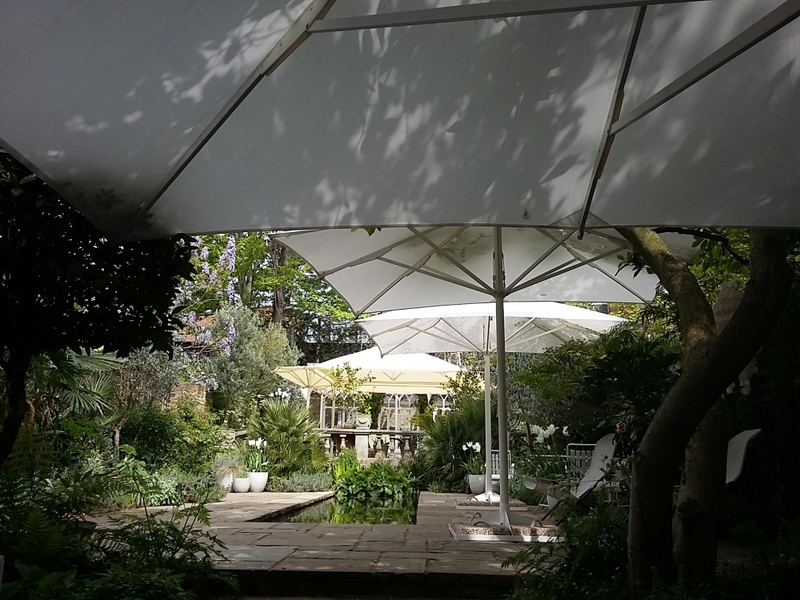 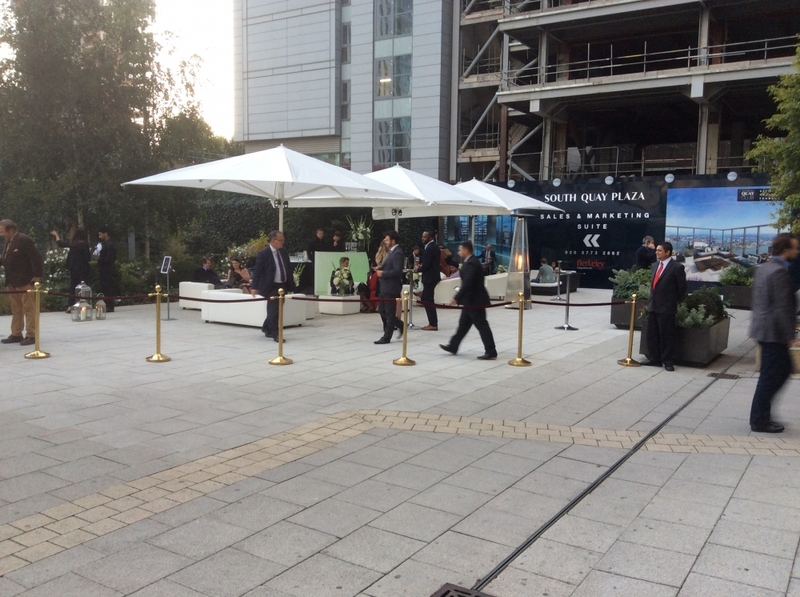 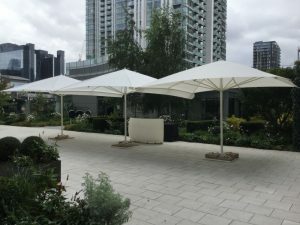 Canopies are available in white or black, and can be linked together in any geometric formation to afford cover in even the most irregular of spaces. 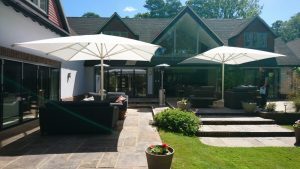 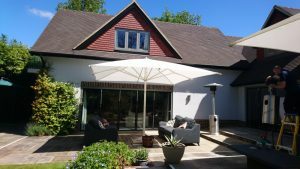 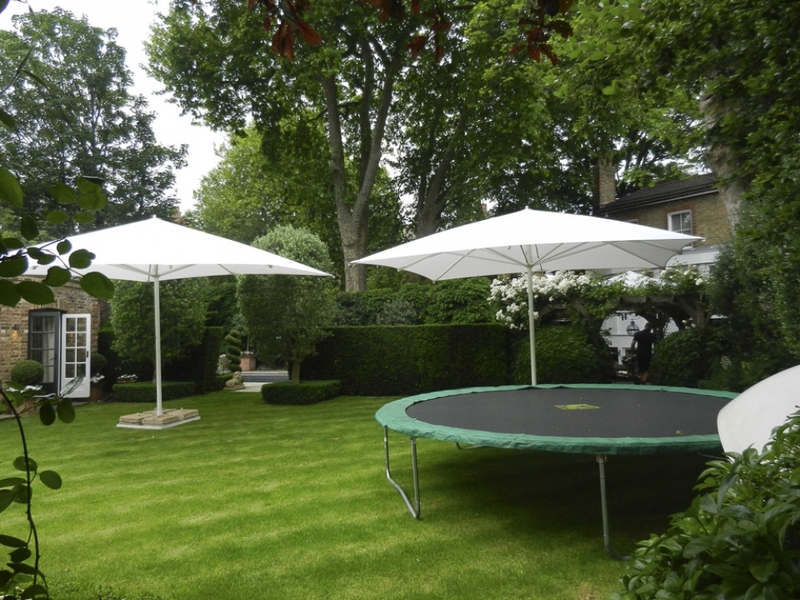 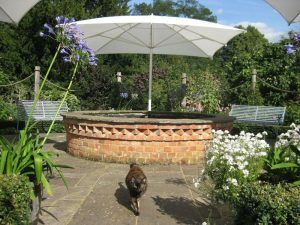 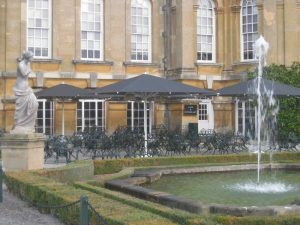 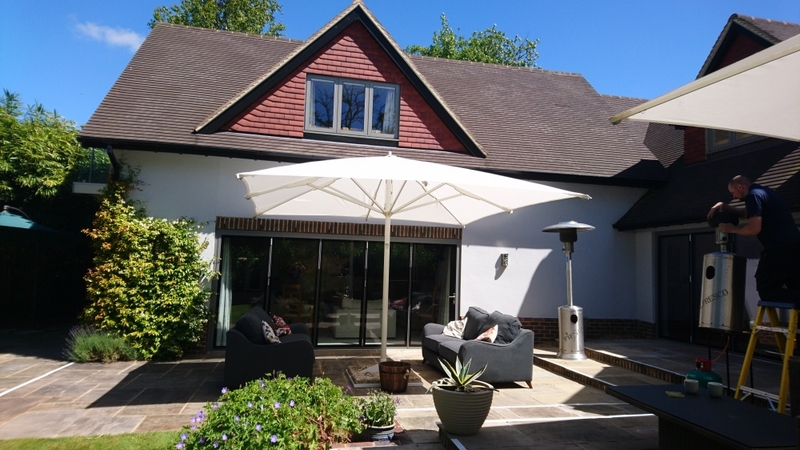 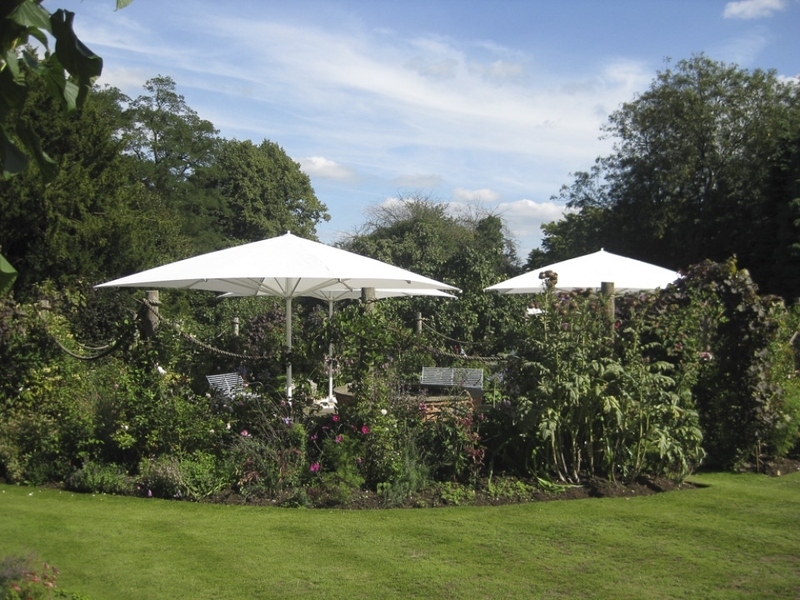 Providing shade or rain cover, Sunbrellas can be positioned on hard standing (e.g patio) or grass. 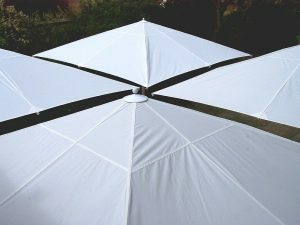 For a smart finish we have box tables or box seats in black or white to cover over the Sunbrella bases. 2.5m square – Ideal to cover a small area. 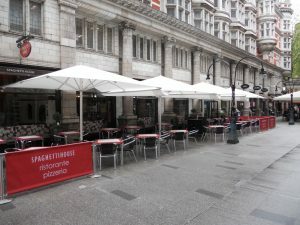 Cover a jazz band or small bar. 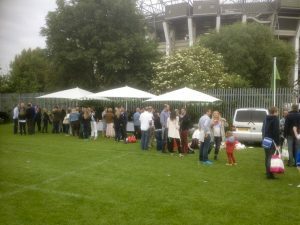 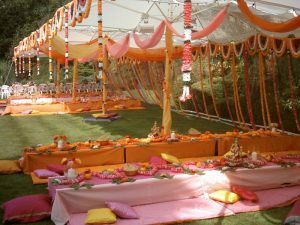 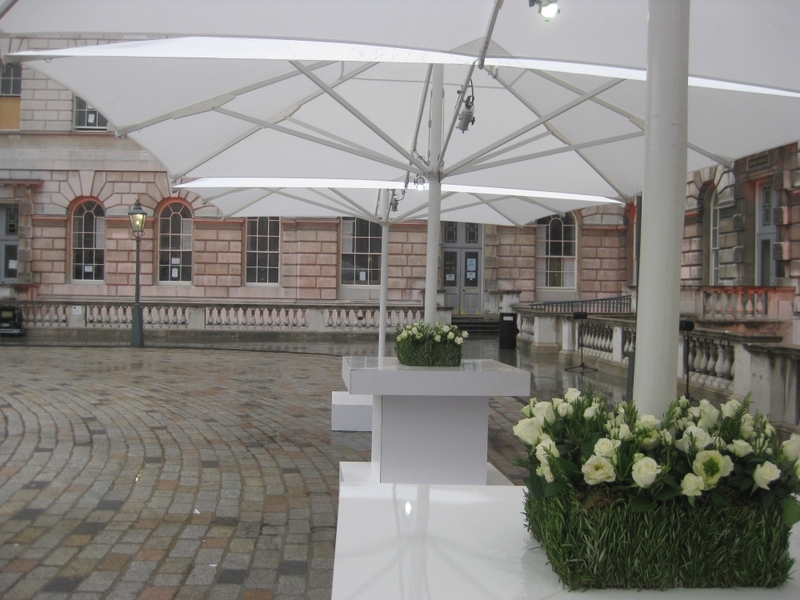 3.0m square – Consistently popular for garden parties. Several Sunbrellas placed around the garden provide a charming atmosphere. 3.5m square – At over 11ft sq a great interim size for additional coverage. 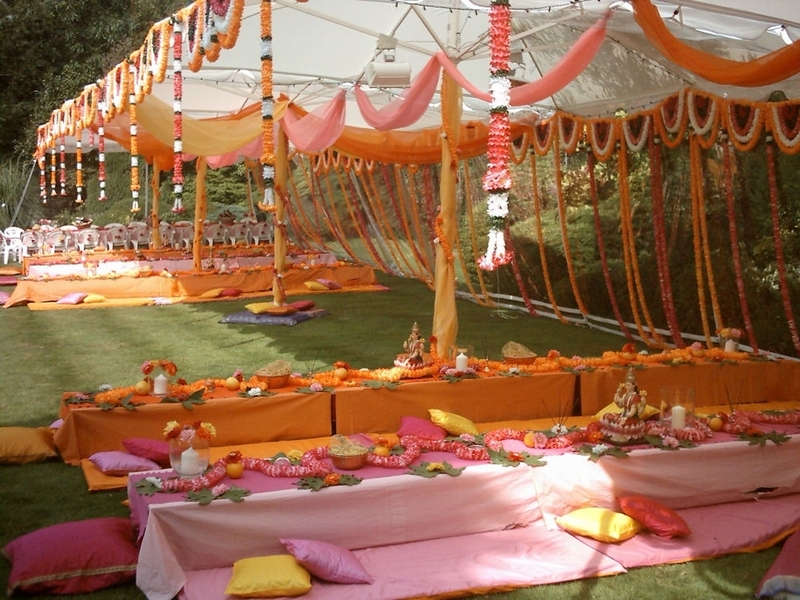 4.0m Square – Most frequently used for dinner parties or when sitting several people. 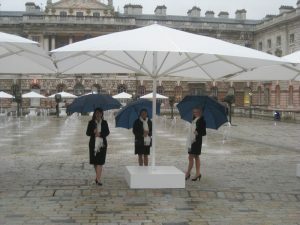 Guests can dine at a table fitted around the central pole, or up to 24 guests seated at 4 round tables arranged under the one umbrella. 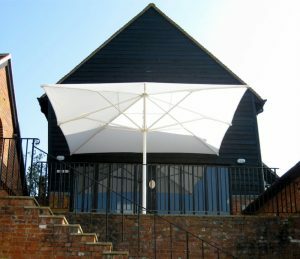 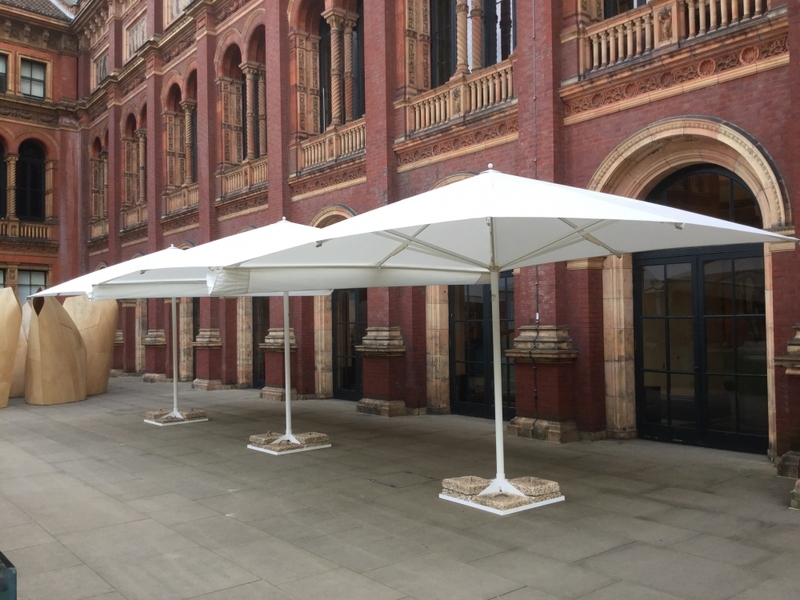 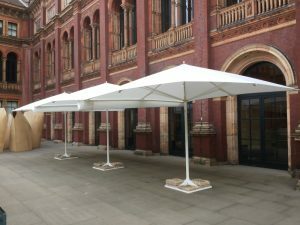 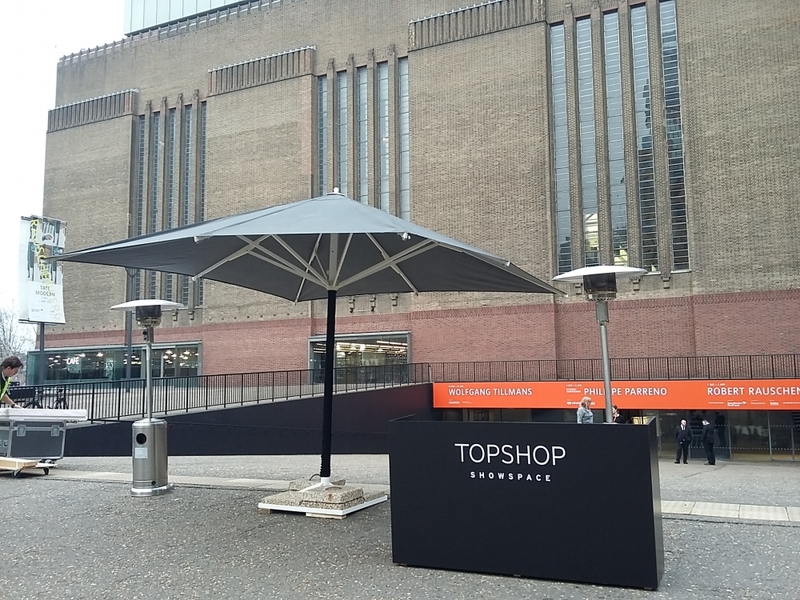 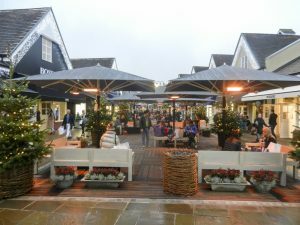 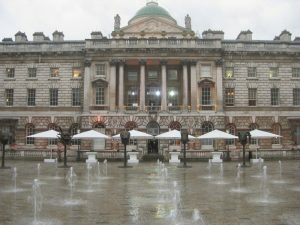 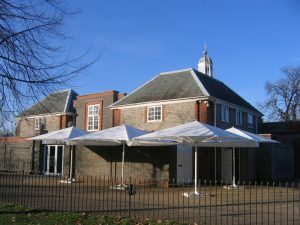 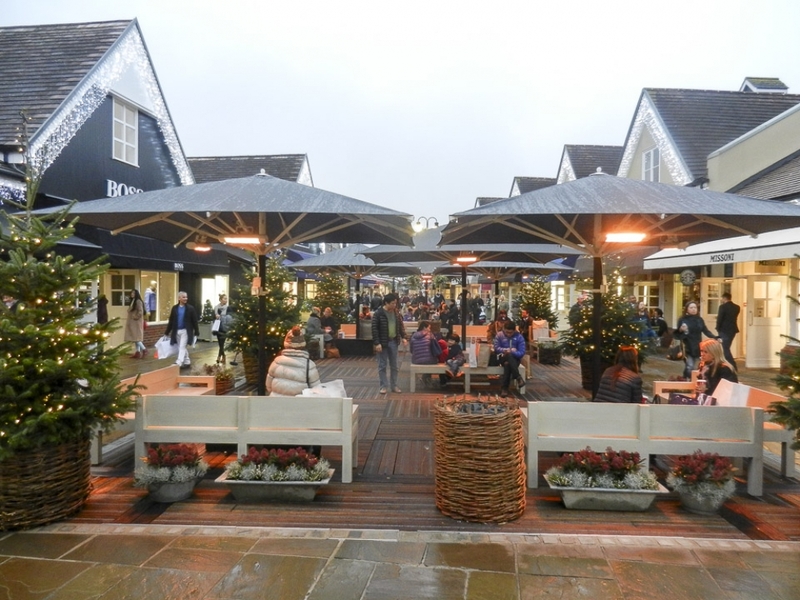 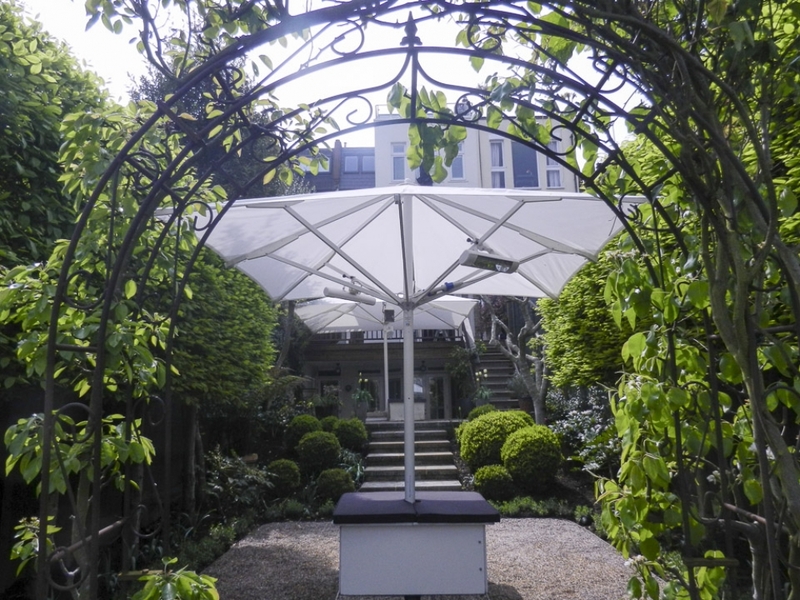 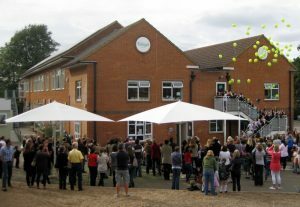 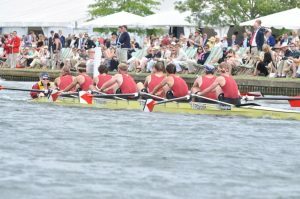 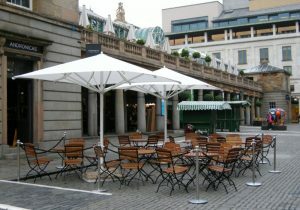 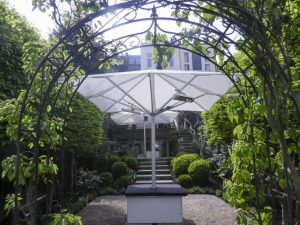 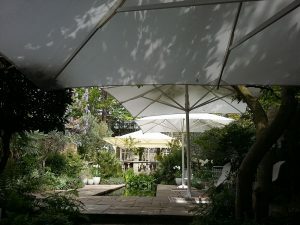 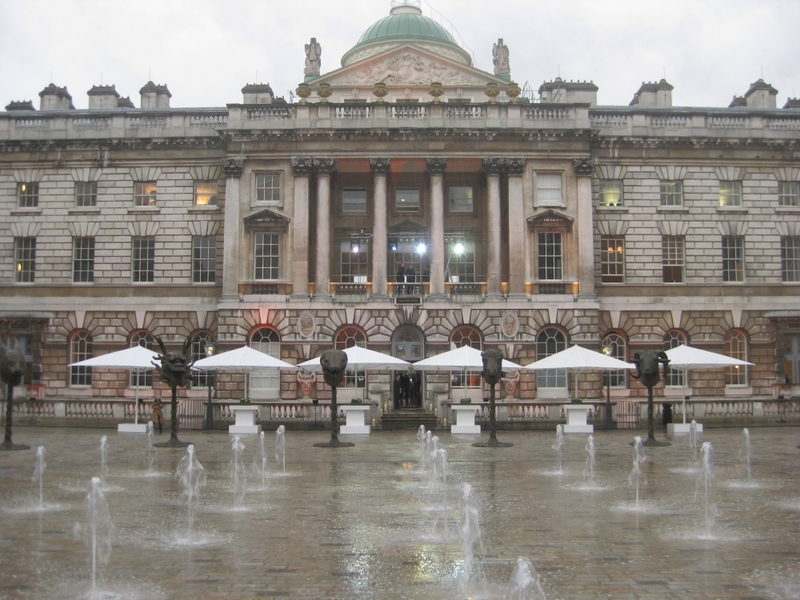 5.0m Square – The largest and most adaptable Sunbrella with its impressive size, often connected to other 5.0m Sunbrellas to provide a unique alternative to a traditional marquee.